Dad’s the Word was established as a support for new Fathers in the year 2001 after seeing the results of the sister site mumstheword.com.au created a year earlier. It was built by Ros Vroom with the purpose to provide relevant and reliable information to new parents as they take on the new exciting role of caring for their newborns. 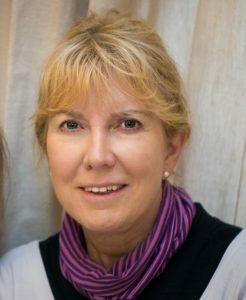 Ros Vroom, founder of dadstheword.com was born and educated in South Africa, and lives in Brisbane Australia. With years of nursing experience, midwifery (delivering babies), neonatal (new-born) intensive care nursing(her speciality) and as a Mother, Ros now focuses her time on training Educators in John Gottmans Bringing Baby Home newborn parenting program, consulting with governments, working on community projects such as logantogether.org.au and sms4dads.com and hospital systems all over the globe through her popular education video Newborn Parenting for a New World. With this wealth of experience and passion Ros makes this website available to you and your family to ensure that infants have the best outcomes. Please, if you have any concerns about your baby, always check with your Health Professional for advice regarding your baby, as the information given here is of a general nature. If you are a professional or parent and would like to learn more, please feel free to contact the team to find out more about a Bringing Baby Home workshop or Professional training near you.